Quaglino’s has been the star of St. James’s since it opened all the way back in 1929. 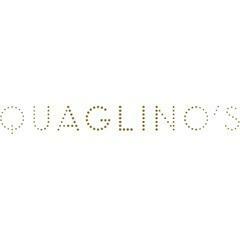 With an impressive menu of European classics, as well as an extensive drinks list and famous cocktails, Quaglino’s also host live music and DJs on the grand stage until late. Synonymous with style and glamour, Quaglino’s boasts two ornate private dining rooms.<br><br>We are looking for a passionate Sommelier who can confidently deliver exceptional service to guests. At the same time, our Sommelier will have the service, wine knowledge and skills to support the team to deliver an outstanding guest experience. You will work closely with the Head Sommelier and restaurant team, assisting with guest wine service, setting up and clearing down the restaurant and cellar management.<br><br>You will have the ability to deliver warmth, charm and hospitality in every aspect of the role. Overall you will have bags of personality, enthusiasm and a can-do attitude.<br><br>D&D London is a collection of restaurants as individual as you are. Some of the benefits of working for us include: <br><br>•	Substantial career progression<br>•	Personal development and training - including the opportunity to complete the industry-leading D&D Diploma<br>•	28 days holiday that increases with the length of service <br>•	Free meals on duty <br>•	40% discount in all D&D London restaurants<br><br>If you are interested in discussing the Sommelier role further, please get in touch with us without delay! Quaglino's is posting their hospitality jobs on Harri.